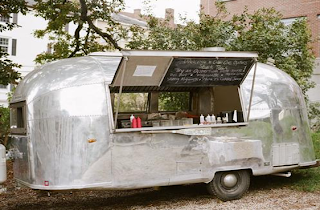 Two Cool Places to Order an Oyster. Cabin Cove Oysters, out of South Bristol, Maine has one of the coolest oyster trucks we have seen in a long time. 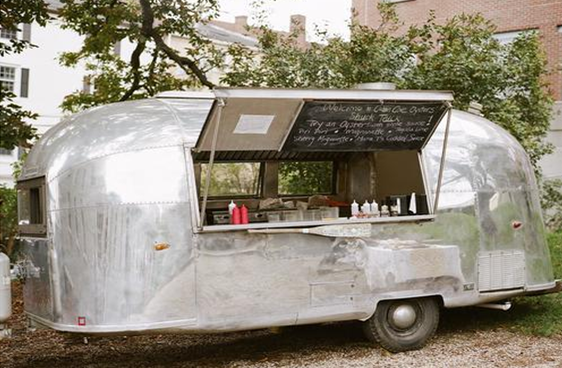 It is a 1963 Airstream Globetrotter Trailer that travels to events and weddings. They have been known to go surprisingly far from the Maine Coast- even into New York. Photo Source: Cabin Cove Website. They raise their own oysters in the Cove on the the Damariscotta River, which enjoys 10 foot tides. 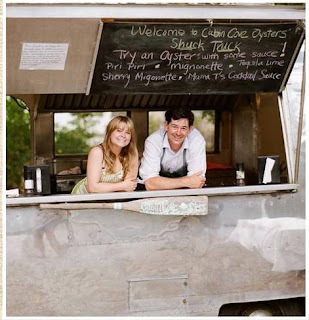 Co-Founders Michael Mcallister & Juliet Totten Photo Source: Cabin Cove Website. If you make it out to the San Francisco area on the West Coast, Hog Island Oysters in Marshall, California allows you to harvest and shuck your own oysters. The farm is located on Tamales Bay about 45 miles north of the Golden Gate Bridge. 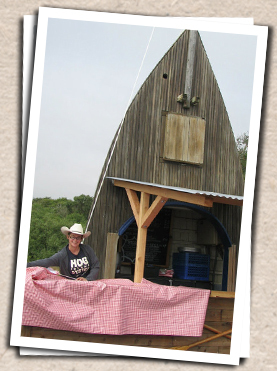 We particularly like their oyster shack which is made from a boat placed on end. Who can beat this for nautical decoration. ?